Hi Alissa! Thanks for writing and, to answer your question, yes! Bridesmaid dresses with beading is very in-style right now. Although I don’t know if it will ever be out of style because a beaded dress is so elegant and timeless. I’m not sure if the dress you saw on Pinterest is one of these, but we sure did some digging. Serious digging. And we spotted some beaded bridesmaid dresses that are absolutely incredible. So if one of these bridesmaid dresses isn’t the beading you had in mind, let us know and we’ll be happy to keep on digging! But I’m certain one of these will be perfect for what you have in mind. 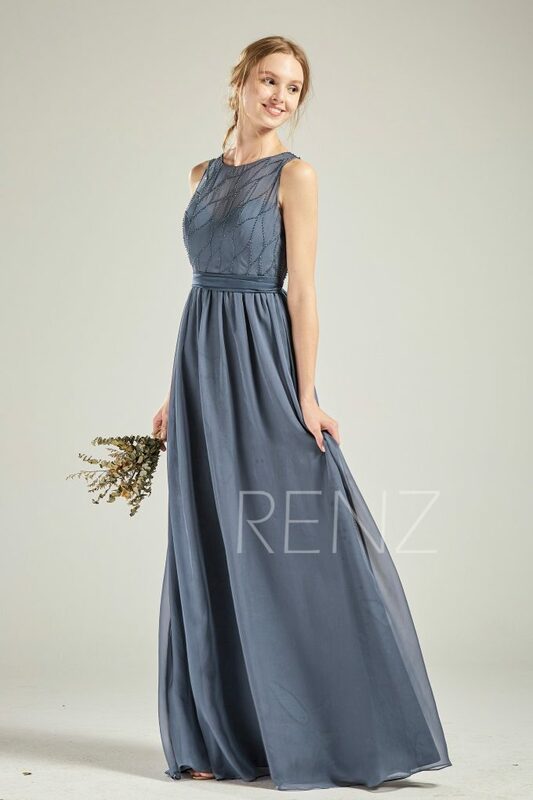 Take a look at our round-up below of beaded dresses for bridesmaids. Hope it helps! What do you think of these beaded bridesmaid dresses? Do you love ’em as much as we do? I hope it helped our bride, Alissa, and anyone else who was on the search for pretty beaded dresses. RELATED: Giveaway: Win 8 Bridal Party Pins + Cards! + HAVE A QUESTION? Ask Emmaline and it may appear in an upcoming blog post! Submit yours here. P.S. Looking for more bridesmaid dress options? Read: Get Rid of Ugly Bridesmaid Dresses Once and For All, 15 Affordable Bridesmaid Dresses That Don’t Look Cheap, and Best Convertible Dresses for Bridesmaids. These dresses are seriously gorgeous! What’s great is that you can wear these for any occasion afterwards. Hi Nina! Totally agree! I love the colors, such a neutral palette, too. Thanks for stopping by!